2014 Cobb County & East Cobb Home Buyers – be sure to file your Homestead Exemption! 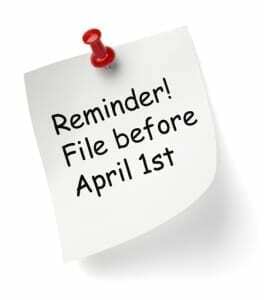 If you purchased your home last year and have not already done so, file for your Homestead Exemption by the deadline (April 1 in most counties) – or you won’t get a tax break for another year! Filing a Homestead Exemption can save you thousands of dollars in property taxes! In Georgia a Homestead Exemption must be applied for by the homeowner – it is not automatic and the closing attorney does not file for you at closing. Depending on your county, this can be done online, by fax, by mail or in person – and you can file for homestead exemption year round. You only have to apply for the exemption once and the exemption remains for as long as you reside in the home as your primary residence – however, any change in the name of the homeowner requires a new filing! A Homestead Exemption provides more than just a tax break. It also provides two important protections. It prevents the forced sale of a home to meet the demands of creditors and provides the surviving spouse with shelter. Deadlines are listed below by county along with a link for a homestead application. Applications received after the deadlines will be processed the following year. The Homestead Exemption is available to legal residents of Georgia for their primary homes. You are entitled to the Homestead Exemption if you owned and occupied your home on January 1st of the year for which you apply. Senior citizens may have additional exemptions available – check with your county tax office. What You Need in Order to File: A copy of the recorded warranty deed, Social Security numbers of all persons on the deed, the mortgage holder, and the amount of the mortgage. Some counties may require a copy of the closing statement (HUD 1) and proof of age for senior citizens. If your county is not listed, please visit the Ga Dept of Revenue online at: https://etax.dor.ga.gov/ptd/county/index.aspx to find information for your county. This entry was posted in Uncategorized and tagged Cobb County Homestead Exemption, East Cobb Homestead Exemption, Marietta Ga Homestead Exemption by admin. Bookmark the permalink.